MECHANIZATION - Container ship unloading in a Dutch port. Imagine a world with total Free Trade. No restrictions on goods exchange and no import duty taxes - with supply and demand being the limiting factors. That utopian situation is unlikely to occur in our lifetime until world politics advances to a higher plain. That might help reduce complications and administrative carbon. Governments though, love taxes and sanctions. They don't want cheaper goods flooding their markets and fear the equality that would mean as an end game. They do though want the goods. For example, we could do without bananas, tea and coffee, but we want those goods for variety and they would be much more expensive (or even impossible) to produce locally. Every part of the world is thus a unique contributor to society, even where factories to produce electronic goods could be located anywhere, they are not. They are located conveniently to sources and transport. But what of tourism and immigration. If there were no borders or controls, there could be widespread chaos as people congregated in supposed areas of prosperity, that would then collapse due to the logistical impossibility of supplying an intensely populated area, not to mention the strain on housing. Loosely speaking human population spread should be geared to the ability of the land to provide food locally and the practicality of building homes. All of which relies on a sustainable transport network. For these reasons, though passenger travel is to be encouraged where the transport medium is zero carbon, tourists should return to their native homes to maintain a sustainable geographical population spread. 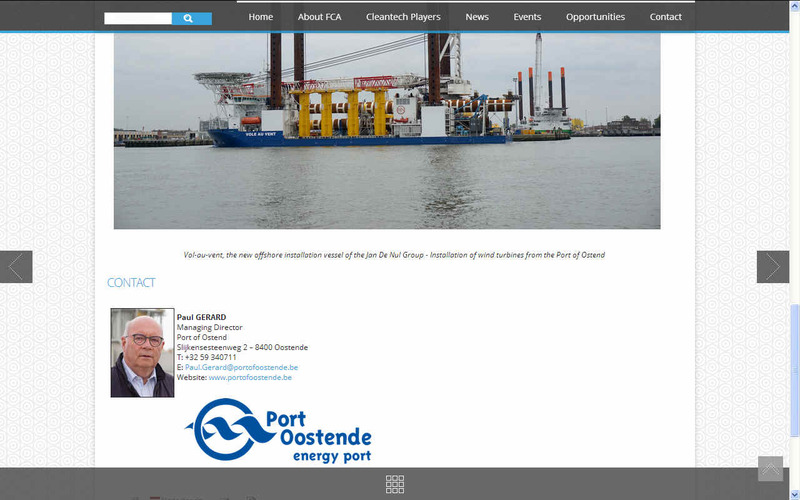 OOSTENDE - It takes a lot to support the offshore energy industry. Belgium has 232 wind turbines in the North Sea that make a significant contribution towards their renewable energy targets. Together, they are responsible for generating enough electricity to supply no fewer than 750,000 families. And more of them are on the way. Ultimately, the aim is to achieve a total of 450 wind turbines with a total capacity of 770 TWh, yielding an annual electricity supply of 8,085 TWh, the equivalent of 9.5% of electricity consumption in Belgium. 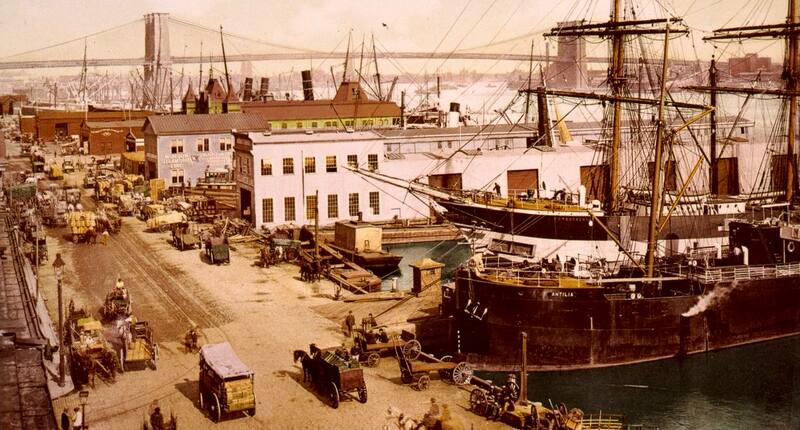 Ignoring the above for now, we are looking for ports and docks that can handle cargo and passengers more efficiently, the main reason for having docks and passenger terminals. Ports are one of the driving forces for economic activity of any country. They need to be adaptable and connected for sustainable blue growth. One of the easiest ways of becoming sustainable is to go green to reduce their carbon footprint and environmental impact. One way to decrease this influence is to connect docked ships to shore side electricity. Another is for ports and docks to use renewable energy. By increasing the logistical efficiency of any port, delays are reduced as well as energy consumption. Reduced delays means happy passengers and a better reputation for receipt and distribution of goods and materials. Business practices and software can help here. 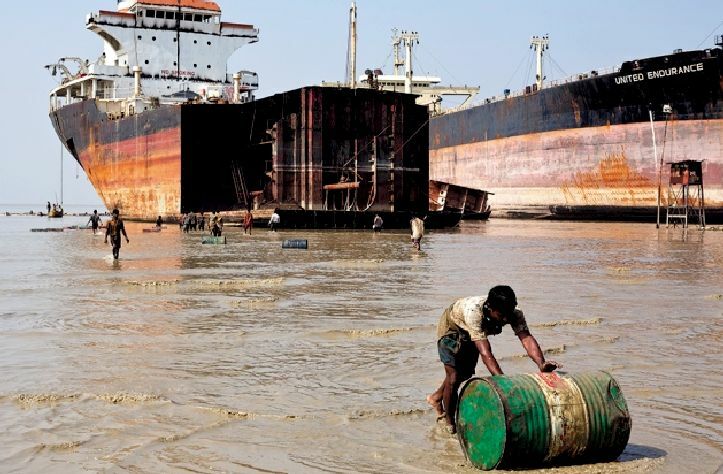 Strict environmental regulations now include an obligation to reduce emissions from vessels imposed by IMO MARPOL Annex VI and the sulphur directive. The implementation of the EU Clean Fuel Strategy and the EU Directive on Deployment of Alternative Fuel Infrastructure is at the moment concentrating on providing LNG refueling facilities to replace bunker fuels for new ships. This lowers the cost of transport and helps to regenerate the oceans by reducing acidification. One of the most significant sectors of the economy of many ports, due to the export opportunities, is ship building capacity. This involves the direct and indirect employment of a skilled workforce and highly qualified professionals. One way to improve output is to encourage diversification and the commitment to build increasingly specialized types of ships, where innovation is a key factor. BLUE ECONOMY - Ireland’s shipping and transport sector was the largest contributor in terms of turnover to the growth of the country’s blue economy’ in 2016. Shipping is also responsible for the FTE employment of 4,666 people, an increase of 6.7% since 2014, according to the latest report from the Socio-Economic Marine Research Unit. Figures from the fourth SEMRU report show that the ‘blue economy’ is outperforming Ireland’s general economy. But the report also details now sea-based transport in particular accounted for 85% of the total volume and 56% of the total value of goods traded in Ireland in 2016, and continues to be the largest contributor to Ireland's ocean economy in terms of turnover and Gross Value Added (GVA). 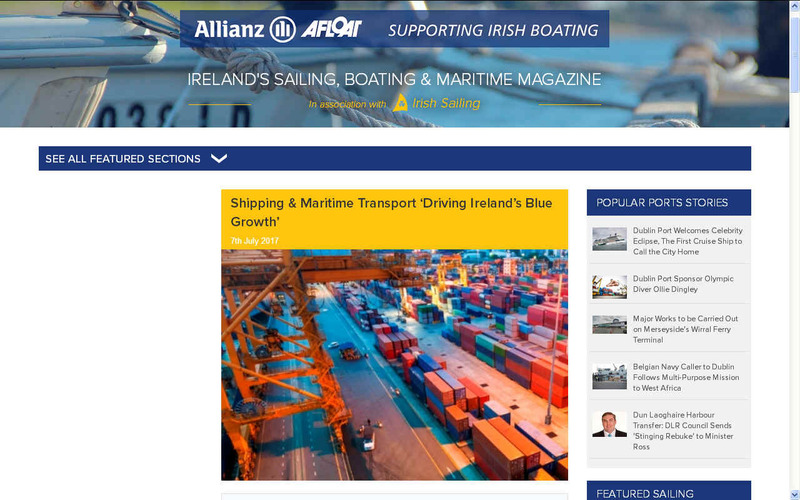 The positive trend is also reflected in a report released in 2017 by the Irish Maritime Development Office (IMDO), the Irish Maritime Transport Economist, which records a 2% increase in total port traffic in 2016, the highest level of throughput achieved since 2007. 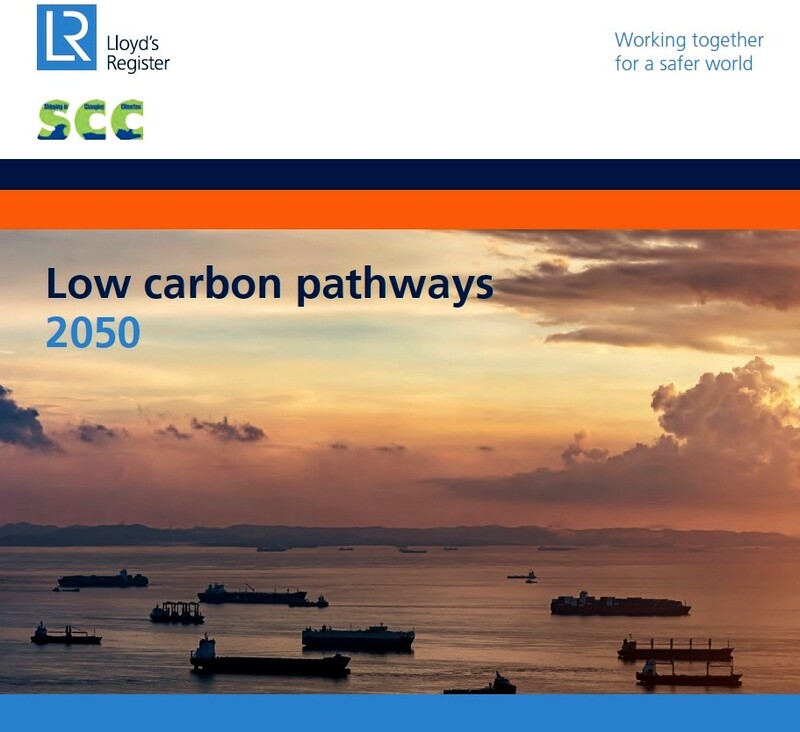 LLOYD'S REGISTER - Lloyd’s Register (LR) and Shipping in Changing Climates released Low Carbon Pathways 2050 – a new study that details a number of potential pathways for the shipping industry’s transition to a low carbon future. The report underlines the need for shipping to start its decarbonisation imminently – as stringency increases over time, increasingly high-cost mitigation steps are required. The later we leave decarbonisation, the more rapid and potentially disruptive it will be for shipping. List of busiest ports in Europe - by several measures including number of twenty-foot equivalent units (TEUs) handled, by cargo tonnage and percentage transshipment. A Green Blue Project has promulgated its Environmental Code of Practice to advise marine related businesses, sailing clubs, and training centers on the interaction of environmental regulations and good business management. 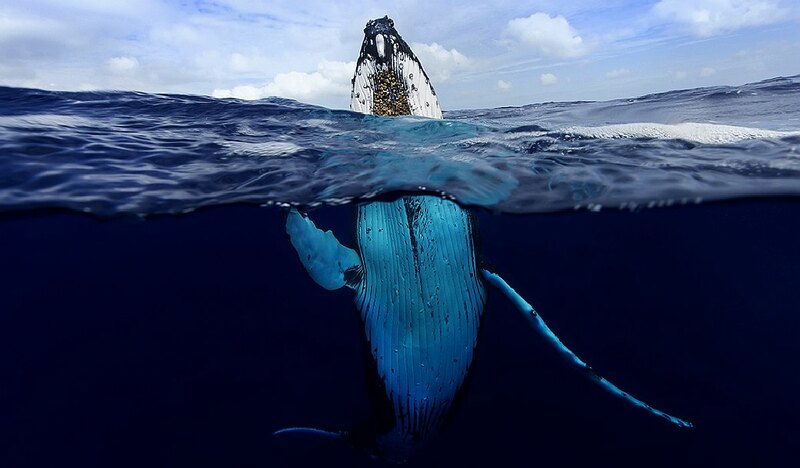 Key contributors to the document are the British Marine Federation (BMF), Royal Yacht Association (RYA), and United Kingdom Environmental Agencies. The Environmental Code of Practice is founded on the premise that boating’s use of the coastal waterfront and inland waters must be sustainable, that is development of boating needs in the present do not compromise use of natural resources by others in the future. Use of an Environmental Management System (EMS) by a marine related entity ensures that the organization complies with national environmental policies. The starting point for implementation of a EMS is the development of an Environmental Policy Statement that outlines company recognition of environmental issues and actions to be taken in mitigating these concerns. There are at least two immediate benefits of adopting a policy statement; the first is active communication of an organization’s commitment to the environment, and secondly, a positive means of inadvertently violating environmental regulations. Code sponsors make the case that utilizing the standard make good business sense. 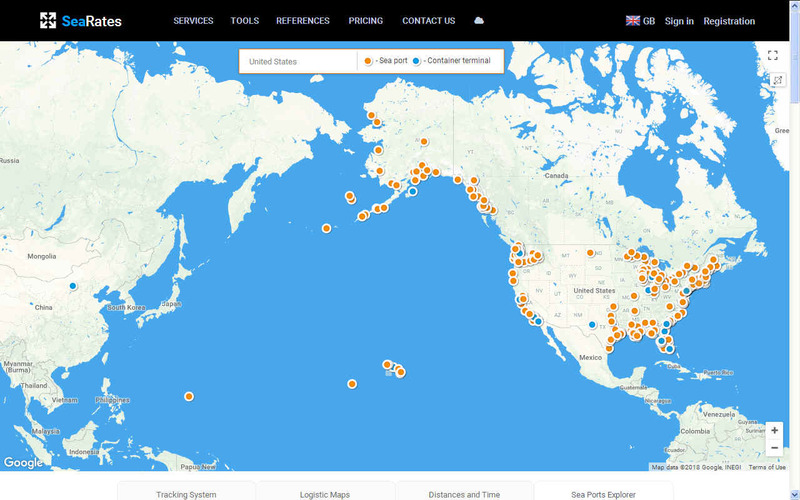 Arguments include prevention or reduction of future legislation through self-governance, direct operational savings through good management practices, improvements to organizational reputation, and preserving the boating environment for future users and customers. The Environmental Code of Practice identifies some key boating issues with the environment and offers practical solutions to mitigate them.